If you’re not in the market for a new 2019 INFINITI car, be sure to check out all of the pre-owned INFINITI options we have to offer here! Along with quality new & used cars, we’re also offering certified pre-owned INFINITI cars that you’re sure to love. If you need help with car leases & loans, be sure to contact our financing center! 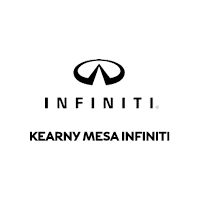 We’re looking forward to working with you soon so contact Kearny Mesa INFINITI today!